Compact hand-held window cutter for ductile and cast iron mains. 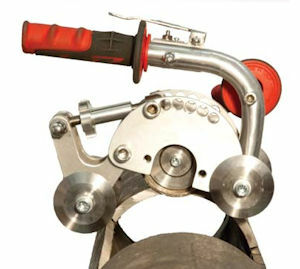 Safe: Cutting blade is mounted away from operator's hand. Trigger handle equipped with automatic release. Economical: One-man operation, requires little training. Precise: Depth control disc prevents blade from cutting too deep, ensuring no damage to internal pipe or wire. 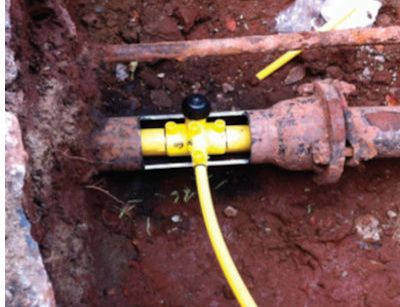 Ideal for use in Live Mains Insertion and dead insertion projects. Lightweight: At just 9lbs, the compact design makes it easy to operate in crowded excavations. Innovative: Its unique design allows both radial and axial cuts to be performed using the same tool. Air Powered: Supplied with its own air filter and lubricator maximizing tool service life. Connects to typical onsite air compressor. 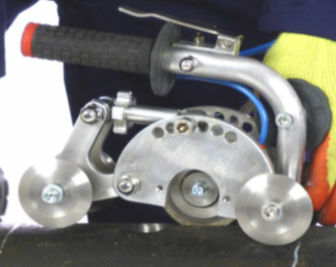 Precise, fast cutting of windows in abandoned or inserted mains without damage to internal pipe. 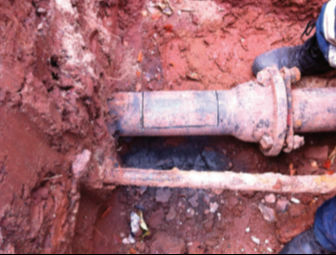 Use on gas, water or conduit pipes. 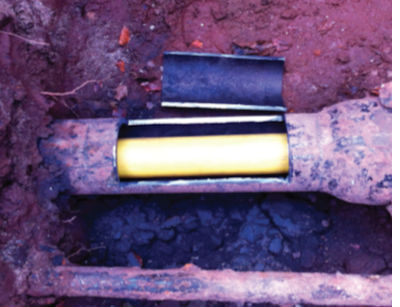 Cuts windows on 4" ductile iron in under 15 minutes.